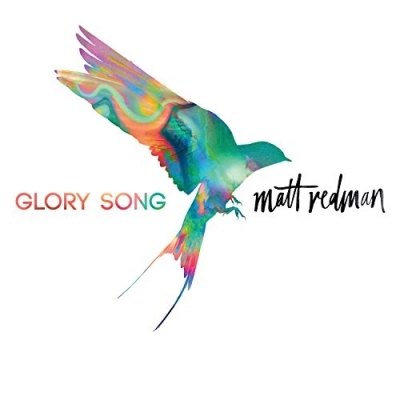 Glory Song, the newest from two-time GRAMMY winner Matt Redman, is available for pre-order today in advance of it’s Sept. 29 release with sixstepsrecords and Capitol CMG. “All Glory” and Glory Song’s just released radio single “Gracefully Broken” featuring Tasha Cobbs Leonard, are immediately available to listeners upon pre-order. Redman will unite with Cobbs Leonard to perform "Gracefully Broken" at the 48th Annual Gospel Music Association (GMA) Dove Awards on Tuesday, Oct. 17 in Nashville, Tenn. Trinity Broadcasting Network (TBN) will exclusively air the awards show on Sunday, Oct. 22 at 8 p.m. CST. Filmed atop the iconic Capitol Records Tower in Los Angeles, Redman released an acoustic video of the song earlier this week with exclusive support from FaithWire. Recorded at the legendary Capitol Studios in Los Angeles, the latest is a unifying, diverse and collaborative piece, both in its writing, with support from GRAMMY winning Chris Tomlin, Jonas Myrin, Bryan and Katie Torwalt & more, and in the voices heard on the record, including fellow GRAMMY acclaimed artists Kierra Sheard, Cobbs Leonard along with a gospel choir. Redman will take his “Glory Song Tour” from coast to coast surrounding the release of the album, playing churches in Irvine, Atlanta, Fayetteville (N.C.), Houston and Las Vegas. For more information about the “Glory Song Tour”, visit www.mattredman.com.